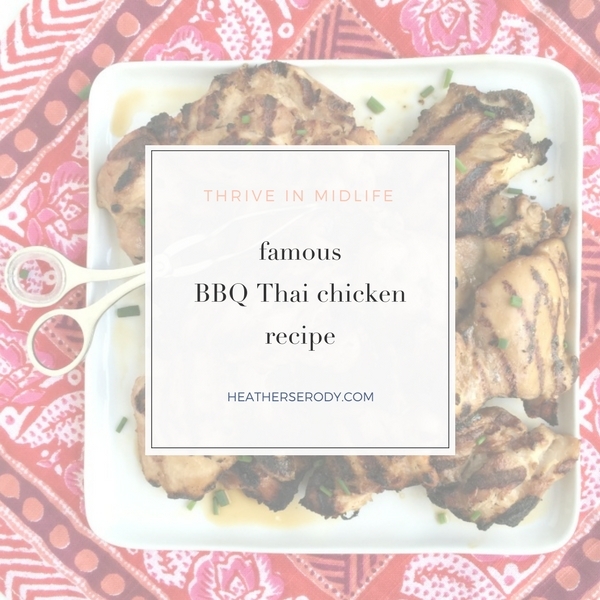 This barbecue Thai chicken is just like all my other famous recipes in that people freak out when they taste i and they ask me for for the recipe. Get yourself some good quality Oyster Sauce with no junk in it like MSG (monosodium glutamate) or sodium benzoate (which is carcinogenic). I use Wok Mei brand which is all-natural and gluten-free. Ingredients: Dried cane syrup, all-natural caramel color, salt, GMO-free unmodified corn starch, vinegar, maltodextrin, natural oyster extract. This recipe is scaled per 8 chicken thighs, but divides or multiplies well. 8 organic preferably free range chicken thighs with or without bones is fine. Use skin-on if you are eating ketogenic. Rinse and pat dry the chicken thighs. Place in a glass bowl. Add oyster sauce - enough so that each thigh is evenly coated - but not sitting in - the sauce. Mix with your hands. Add in garlic and onion powder and mix in with your hands, evenly distributing throughout the chicken. Add in freshly grated black pepper and chili flakes (optional) if you like an extra kick. Mix well. Add just enough olive oil top the chicken mixture to keep the thighs from sticking to the grill. Mix well with your hands. Marinate minimum one hour; up to four. Grill chicken on a medium low grill, turning once you have good grill marks and some just-blackened edges. Allow to sit, covered for 5 minutes before serving. Serve while hot. Don't substitute chicken breasts in this recipe - they get too dry. This recipe comes from my dear friend Darlene who is an amazing cook and yoga teacher in South Florida. Like her yoga classes, the food she cooks is sublime. 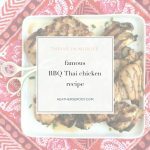 Thank-you for sharing the secret to your amazing BBQ chicken, Darlene.